The position of certain anatomic features of the face are dependent on the resting tone and antagonistic action of the muscle groups. Bince BOTOX in Thailand can selectively weaken individual muscles, parts of muscles or entire muscle groups, the position of these anatomic features can be changed guided by an experienced BOTOX Injector like our doctors at Yoskarn Clinic. For instance, for the eyebrow, there are muscles that elevate and depress their position. 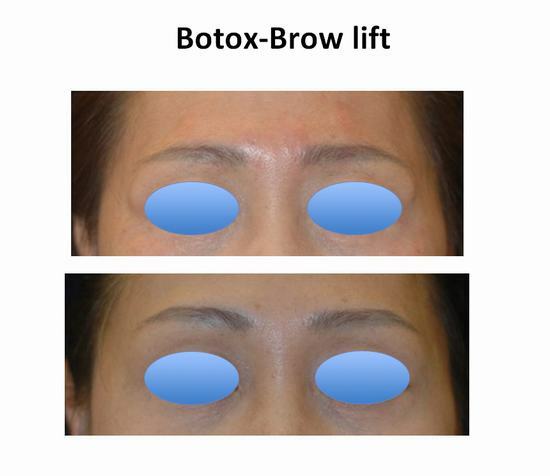 The trick in performing a Botox Brow Lift in Thailand is to understand how the various muscle groups interact. The simplest technique involves placing a small amount of Botox in the depressor segment of the lateral obicularis (circular muscle around the eye) to raise the lateral ends of the eyebrows. While this technique improves the brow position, it doesn’t often give the very best results since not the whole length of the eyebrows will improve. There are basically two parts to a successful Botox Brow Lift in Thailand, and other botox treatments, one is the technique for injecting, and the second is the art of injecting it which a handful of surgeons/doctors are able to master as it will require an intimate understanding of the muscular anatomy and how muscles compensate to paralytic weakening and of course, the overall harmony of the face once one aspect is changed. People often ask why a person should go to a board certified plastic surgeon or dermatologist for a simple Botox injection when it will cost less with a nurse practitioner or and general doctor. While it is perfectly safe to do Botox Injections with health professionals who had undergone training for the use of the product, experience is always one major factor. Since Botox is a purely cosmetic procedure, having your injection done be the best should be your only option. Understanding the anatomy and muscle compensation patterns takes years of study. What you get in going to one of these professionals is not the knowledge of how to inject but the knowledge of where to inject. With fine tuning, it is possible to not only lift the brow but also to add a better shape for it. This is something that is generally worked up to over several treatment sessions. Though we cannot promise a perfect result since everyone responds a little differently to Botox, having subtle changes is the difference between good results and great results and is the reason why the best injectors always go for the more natural look than the over the top result.